I first came across Terra Trellis at the Dwell Home Show in LA a few years back. Since then, I’ve browsed their website on a regular basis to see what new offerings they night have. This website offers beautiful high-end trellises and pollinator habitats for your garden. 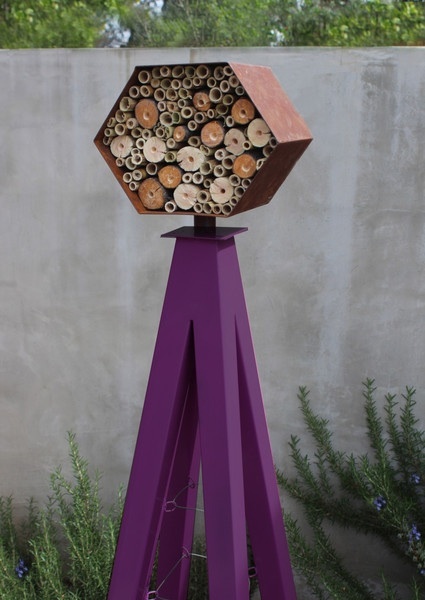 Although somewhat expensive, their offerings of sculpture, trellises and now bee habitats, are wonderful examples of marrying form and function. . Click here → http://www.terratrellis.com to see this and other offerings.